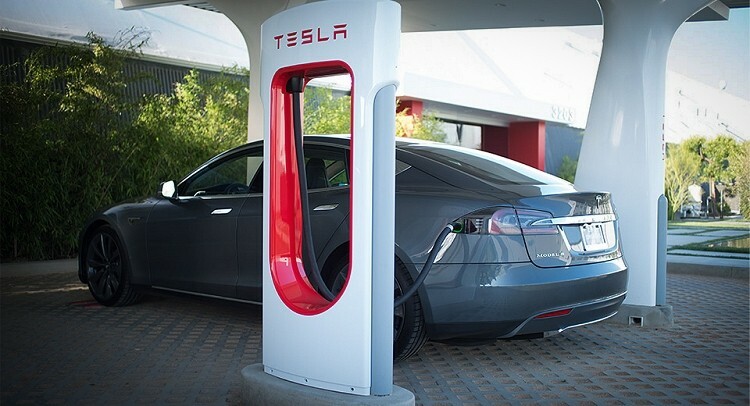 Tesla Motors just took a big step forward in quelling the fears of electric vehicle critics by opening the West Coast Supercharger Corridor, a network of power stations that enable Model S owners to travel between San Diego, California, and Vancouver, British Columbia, free of charge. Tesla’s Supercharger stations are significantly more powerful than other charging stations. They deliver up to 120 kW DC directly to the vehicle’s batteries which can provide half a charge in as little as 20 minutes. Stations have been strategically placed along U.S. Highway 101 and Interstate 5 near cafes, roadside diners and shopping centers. This will allow owners to top off their batteries as they eat or shop. In a press release on the opening, Tesla said more than 99 percent of Californians and 87 percent of Oregon and Washington Model S owners are now within 200 miles of a Supercharger. And to celebrate the occasion, Tesla sent two Model S drivers on a 1,750 mile road trip that will take them through Santa Barbara, San Francisco, Sacramento, Mt. Shasta, Portland, Seattle and Vancouver. Each driver will stop at popular destinations such as the Santa Monica pier, Monterey Bay and the world famous Pike Place Fish Market. Looking forward, the next phase of the network – the East Coast Corridor – should be finished in a few months. It’ll stretch from Miami, Florida, all the way up to Portland, Maine, and by 2015, Supercharger networks should cover nearly 98 percent of the population in the US and Canada.